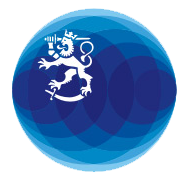 The Team Finland network promotes Finland and its interests abroad: the internationalisation of Finnish enterprises, investments in Finland, and the country brand. The Team Finland operating model brings together the key actors and services in these fields. The core of the network consists of the publicly funded organisations operating in these fields, such as the ministries, Finland’s network of diplomatic missions, Business Finland, national culture and science institutes, Finnvera, Finnfund, and the regional internationalization services, built upon the ELY Centres. The Team Finland network will help your enterprise become more international, grow, and succeed in the global market. For more information on services to companies seeking internationalization, see: http://team.finland.fi/en/services . Head of Region answers to inquiries regarding East Europe in broader sense.